Based on the name of my blog, you'd never know that I try to keep it away from the political crap-slinging that currently dirties our country's reputation. I try to keep the blog arts related, but peppered and salted with some pop culture. Well, I just can't take it anymore! As you may know, (you'd have to live under a rock not to) right-wing talk show hosts have been bringing race-based fear mongering into the mainstream, but Glenn Beck (pictured lower L and R) has taken it to another level. I signed ColorOfChange.org's petition to stop Glenn Beck's lies and distortions, and so far, 62 major companies have stopped their ads from running on his show. These companies have decided they don't want to be associated with Beck's race-baiting. But Beck is only stepping up his fear-mongering, so we can't stop now. We have to make sure advertisers keep leaving, and stay away from his show. This president has exposed himself as a guy over and over and over again who has a deep-seated hatred for white people... this guy is, I believe, a racist. That statement fits into a pattern of rhetoric from Beck designed to stoke racial paranoia and fear. He has claimed that President Obama has a "reparation appetite" and a desire to use his policies to settle old racial scores. Beck's overall plan is to create an atmosphere in which the White House can accomplish nothing, and he's carrying it out by preying on race-based fears and mobilizing hate. Beck relies on dishonesty, distortion and exaggeration, and he is embarking on character assassinations of Obama administration officials with whom he disagrees. 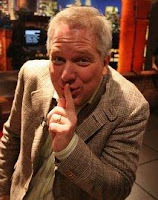 FOX (Beck's "network") has a horrible track record on pushing racist propaganda, but Glenn Beck appears to be taking the network to an even lower standard. He's trying to divide and distract America when we should be coming together and talking about issues that really matter--like health care and the economy. The good news is that we have the power to stop this. Over 175,000 people have joined this campaign, and 62 advertisers have already stopped their ads from being run during Beck's show. Please help keep the momentum building. Click HERE to visit the Color of Change website.